Which Companies are Serious About Human Rights? There is evidence that the ranking is motivating change with a majority of these 100 companies from the extractives, agriculture, and apparel industries, but that there remains a worrying silent minority. This constructive response to the FT from Macy’s is very welcome but it also misses the point to some extent. Companies do not need to engage with the Benchmark, they are welcome to, but more important is that they align with international business and human rights standards. “Knowing and showing” an understanding of salient human rights risks, preventing and mitigating potential and actual negative impacts, and providing effective remedies are what matters. Doing this will give any company a higher score. Engaging with the Benchmark is encouraged, particularly as it grows to rank an expanded number of companies next year. But it remains the case that a company will only be judged by information that is in the public domain. One example of progress is around engagement levels. 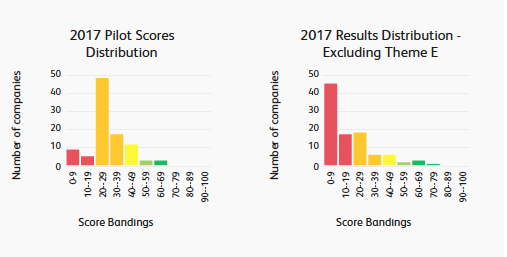 Only about half the companies benchmarked during 2016-17 pilot opted to engage with CHRB researchers during the ranking process. Since then we have seen an increase in the companies willing to start the conversation and share their policies and the work they’re doing to embed them across their systems. We’ve also seen how the investor community has been engaging on specific human rights agendas in an effort to drive change. This includes an investor coalition who wrote to all the benchmarked company Chairs and investor relations teams to find out what they had done since the pilot. “Knowing and showing” an understanding of salient human rights risks, preventing and mitigating potential and actual negative impacts, and providing effective remedies are what matters. Doing this will give any company a higher score. Roughly one-third of the companies replied directly to the investor coalition letter, setting out how they had used the Benchmark findings internally. This included internal gap analyses, improvement plans, and drives for greater disclosure. Over one-third of the remaining companies have been engaging with CHRB through consultations and the 2018 assessment. This means that the majority of the 100 companies that were in last year’s pilot are now engaged. Again it is important to stress that this will not in itself improve scores (there are no points for talking to the team) but it does increase the opportunity of developing a benchmark that really does impact on business behaviour over the longer term. Nonetheless, 28 of these benchmarked companies – nearly one-third – have never responded to the CHRB or the investor coalition. This shows a worrying lack of regard for stakeholders asking questions about human rights. 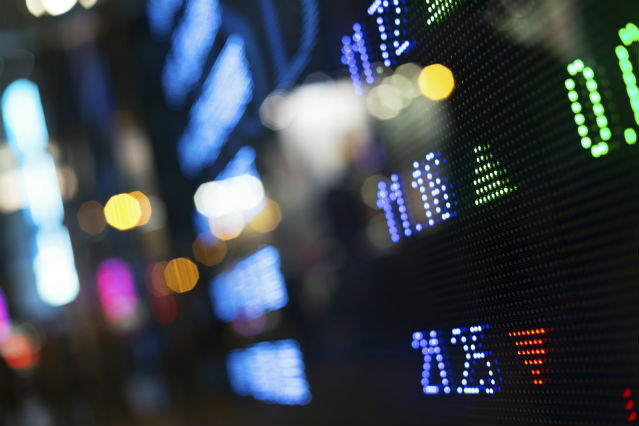 Questions not only investors but also consumers increasingly want answers to. These are 28 of some of the biggest corporations in the world. Not only were these companies near the bottom of CHRB’s pilot ranking, but they are in three sectors that we know have significant human rights risks that require genuine and proactive commitment to manage. The CHRB has also been working since the pilot to adjust and improve its methodology to make the Benchmark an even more meaningful proxy of corporate human rights performance. The 2018 benchmark is likely to give a truer reflection of just how many companies have yet to take business and human rights seriously. This particularly includes the measurement area on how companies respond to serious allegations of impact (Theme E). As the graphs below depict, had this adjustment been made to the 2017 results, the number of scores below 20% increases dramatically. This means that the overall baseline is even lower than we thought, with well over half the companies ranked scoring below 20%, and only a small constituency of corporate leaders with a commendable and robust track record of prioritising human rights as a core corporate objective. 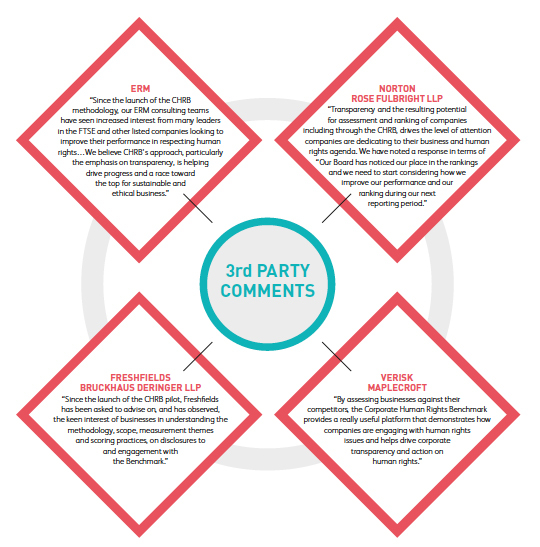 Nearly one-third of the 98 companies clearly do not feel sufficient external pressure to justify a response or the implementation of improvement plans, and this should be scrutinised by all constituencies. This doesn’t mean high scoring companies have always gotten everything right, but that despite this they demonstrably engage with the hard questions and seek to continuously improve. This is what the CHRB is seeking to incentivise over time. It should be noted that some companies believe their ‘on the ground’ performance was not reflected in the Pilot results and are likely to increase their public disclosures in order to improve their scores in 2018. This is encouraging. Transparency is crucial and until the disclosure playing field has been levelled, it will be difficult to distinguish between companies that are ‘good performers’ and those with ‘high levels of disclosure’. The CHRB Progress Report serves as a renewed call to action for governments, investors, and civil society to use and support the CHRB. Benchmarking is not a panacea. The CHRB is a tool and needs to be used by investors, consumers, governments, and civil society to mobile, use their voice, and overwhelmingly demonstrate demand for corporate accountability. One-third of the 98 companies clearly do not feel sufficient external pressure to justify a response or the implementation of improvement plans, and this should be scrutinised by all constituencies. With continued support, CHRB will contribute to putting implementation of business and human rights principles at the heart of business as usual, by supporting an environment that rewards high performers, calls out poor performers, and helps to create a race to the top. The next benchmark will be released in November 2018.